Following reported observed activities of remnants of Boko Haram terrorists around Jororo and Tombaeji villages in Geidam Local Government Area of Yobe State, troops of Operation LAFIYA DOLE carried out a clearance operation within the area in the early hours of Wednesday 14th Sept. 2016. 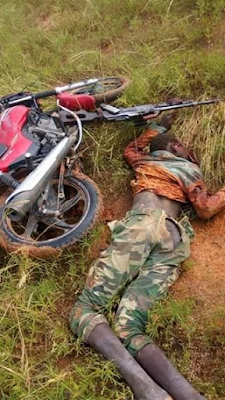 The fighting patrol team sent, came into contact with Boko Haram terrorists elements around Gajire village during which there was a firefight that lasted for about 15 minutes. 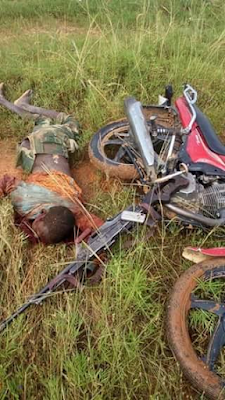 The gallant troops overpowered the terrorists and killed 4 of them and captured 1 alive. The victorious troops also recovered 2 General Purpose Machine Guns (GMPG), 2 AK-47 Rifles and 144 rounds of 7.62mm (Special) ammunition from the terrorists. 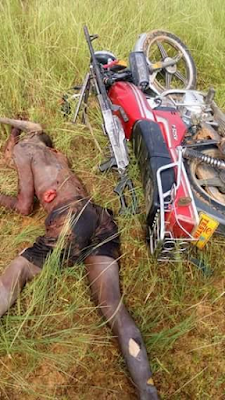 In addition, they also recovered 2 KASEA branded motorcycles. 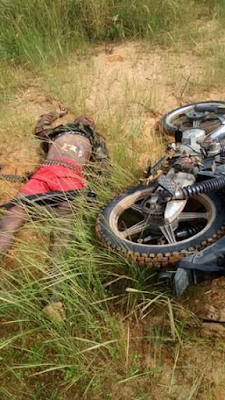 The troops have continued to patrol the general area in search of possible remnants of the Boko Haram terrorists that might be hibernating in the area. The ever vigilant troops of Operation LAFIYA DOLE have continued their routine operations maintaining vigilance to prevent further actions by the Boko Haram terrorists in their respective areas of operations.